A proud day for all of us at the Sitare Foundation, we have started expanding Project Hope to new cities. Today, hundreds of children took the foundation aptitude test in the beautiful city of Indore. In addition to Jodhpur in Rajasthan, we will expand the program to Indore and Bhopal in Madhya Pradesh, and Jaipur in Rajasthan this year. As of Feb. 26, 2016, I have retired from Google. It has been an incredible journey, and I am starting the next phase of my journey focused on giving back through the Sitare Foundation. Here is the letter I wrote announcing this change. I am honored to be elected as one of the members of the National Academy of Engineering (NAE). As an engineer and a scientist, I have always looked up to the distinguished members of NAE. Many of them have inspired me throughout my career. It is humbling to join this group of iconic engineers. Read the Google blog-post about this. I am also humbled and honored to be elected an ACM Fellow. This award is really close to my heart. As a computer scientist and a search academic, I have always looked up to the people who have been elected ACM fellows. The ACM fellows have dedicated their lives to advancement of computing, including my mentor, my advisor, the late Gerard Salton, who was elected an ACM Fellow in 1995. Last year I was also awarded The Asian Award for Outstanding Achievement in Science & Technology. Here is a video clip from that wonderful ceremony. 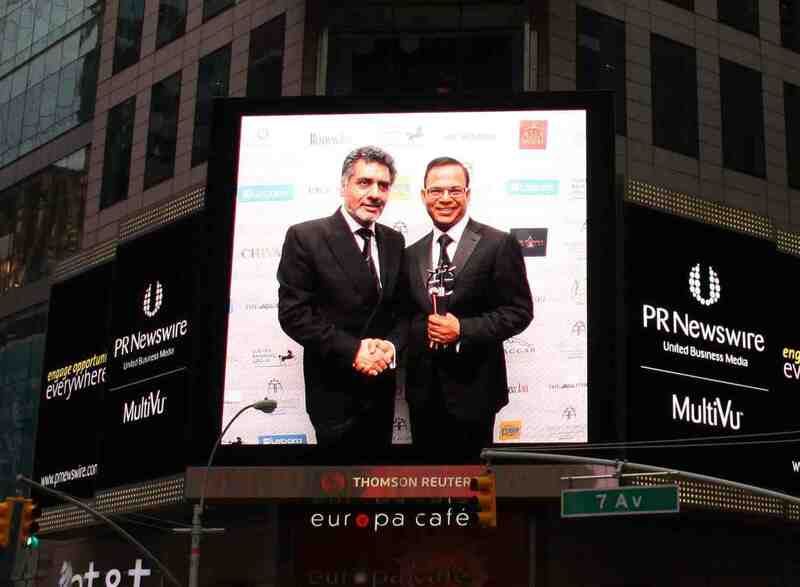 And the organizers got the pictures from the ceremony broadcasted on Times Square. October 2015: A conversation with Kara Swisher at Code/Mobile. Apr 2013: Where No Search Engine Has Gone Before. Mar 2013: How Search Is Evolving. Jan 2013: Google and the future of search. Dec 2012: Changing Everything About Search. Oct 2012: Google’s ‘quantum leap’ for cleverer search. Aug 2012: We are building my dream search engine. Jun 2012: Future of search chat with the BBC. May 2012: Google Knowledge Graph: things not strings. Mar 2012: An chat with Emily Chang on Bloomberg TV. Feb 2012: An interview with Lance Ulanoff about Google’s Knowledge Graph. Feb 2012: Mark Prigg of the London Evening Standard writes about The human search engine. Jan 2012: A chat with Danny Sullivan about Search Plus Your World. Feb 2011: Interview on NBC Press Here: Part 1and Part 2. June 2007: Saul Hansell from the New York Times wrote about Search Quality team at Google. Click here to read it, registration required.